Forget French Toast Crunch. Why haven't Oreo O's earned a comeback? As your friends have no doubt breathlessly informed you on Facebook, General Mills is resurrecting French Toast Crunch. It's a very exciting development that few saw coming, and is guaranteed to make countless nostalgic twenty-somethings feel young again. But while French Toast Crunch is undeniably excellent, its return serves as a painful reminder that Oreo O's are still buried in the cereal graveyard. First introduced in 1998, Oreo O's were the perfect distillation of America's favorite cookie. They were miles ahead of that chump Chip the Dog's stuff, and yet Post wantonly yanked them from shelves in 2007. Oreo O's stayed alive in South Korea, presumably due to some blood pact between their prime minister and Post, but never again surfaced on this side of the globe. French Toast Crunch returns. I'm not stopping until we get Oreo O's back too. 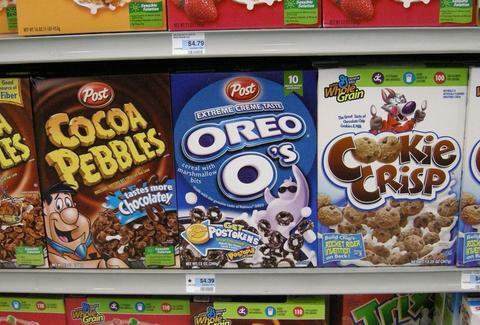 So it's cool that French toast crunch is coming back and all, but where the hell are my Oreo O's? Some determined activists also launched a Facebook campaign in May, which has since amassed 2,104 likes. (After they grow to 10k, the group plans to attack Post with monthly call-ins and once they're even larger, they're gunning for a billboard.) The Post contact page is being posted all over social media by the Oreo O's faithful, too, so we can only assume those calls are already coming in. What gives? Clearly, it's not enough. But the time is now, nation: we need to piggyback off this French Toast Crunch hoopla to affect real cookie cereal change. That Post contact page is right here. You know what to do. Kristin Hunt is a Food/Drink staff writer for Thrillist, and would like to see Flintstones Push Ups again while we're at it. Follow her at @kristin_hunt.